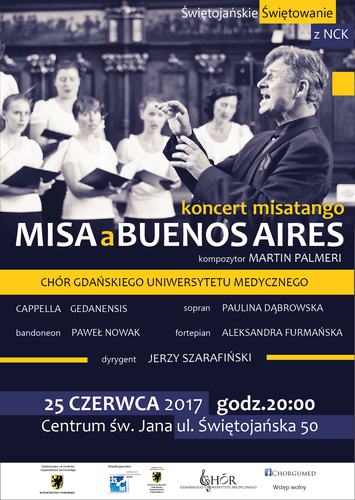 The MUG’s choir led by Jerzy Szarafiński along with the Cappella Gedanensis will perform on June 25th in the St. John’s Centre at 50 Świętojańska street, Gdańsk. One of many extraordinary rhythms will be the Argentine tango “Misatango – Misa a Buenos Aires” by Martin Palmeri. The choirs will be accompanied by solists: Paulina Dąbrowska – soprano, Paweł Nowak – bandoneon, and Aleksandra Furmańska – piano. Admission to the concert is free of charge.